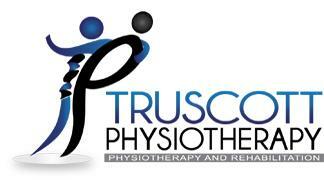 Truscott Physio are a Leading Physiotherapist Leeds, Providing Quality Patient Care for over 50 Year. Our high standards of patient care have a strong emphasis on long term rehabilitation and with all our physiotherapists Leeds being Chartered Society of Physiotherapy registered you can book with confidence knowing you will receive the very best care fromour team. Physiotherapist Leeds, Services to get you moving again, Leeds Physiotherapy. For Over 50 Years Truscott Physio Has Provided Leeds Physiotherapy Services Curing Back aches, Neck Pains and offering physiotherapy support & ongoing programs to hundreds of clients in need of our Physiotherapy services across Leeds & Harrogate. If you’re looking for a professional and effective Leeds physiotherapist you found it. Our fully trained and highly experienced physiotherapists have been providing diagnosis and treatment across Leeds and Harrogate for over 50 years. We take pride in our work and truly care and appreciate the effort and momentum provided by our patients throughout the recovery process. Our Specialist Leeds Physiotherapy Services provide initial relief for our clients on top of being given self-help programs to work with at home , ensuring a smooth road to a full recovery. Whether you are suffering from back pain, a sports injury or a musculoskeletal disorder, our qualified team can help you get on the road to recovery. Our treatment program will assist you in getting your movement back so that you can carry on with your life as usual. We can provide evening appointments as well as home visits to accommodate your busy schedule and unique needs. After meeting with you, we will provide you with a thorough assessment of your injury or ailment and help you to understand exactly why it is happening. We will provide you with self-coping and self-management strategies to reduce the risk of re-injuring yourself and to help you get back on your feet faster.